After an accident that was caused by someone else’s negligence, you need an Olympia WA personal injury lawyer to guide you through the claims process. You may have suffered severe injuries and are unable to work at your normal job. The impact on your life may be huge, and it can be difficult to know what to do after such a situation. We can help. Call Fielding Law Group today for a free consultation of your case. Car accidents can be devastating, especially when they cause serious injuries. Common injuries after a car accident include traumatic brain injuries (TBIs), broken bones, soft tissue damage, whiplash, head and neck injuries, and more. Some of these injuries can show up days after an accident. Thus, it’s important to seek medical attention immediately so you can be thoroughly checked out by a doctor. Your medical records will support your claim, which an Olympia WA personal injury attorney can help you with. Truck accidents can result in severe injuries due to the size and speed at which large commercial trucks travel. It’s important to conduct a thorough investigation after a truck accident. You will need to determine who is at fault and what caused the accident. This may require looking at trucking company records, logbooks, and the truck’s black box. However, much of this evidence can disappear if you do not start an investigation right away. Call an Olympia WA personal injury lawyer to start your claim as soon as possible. Motorcycle accidents are often more devastating than other motor vehicle accidents because the motorcyclist has very little protection. Motorcyclists often suffer severe injuries, such as road rash, broken bones, and burns. You may be wondering how to get your medical bills paid after an accident. 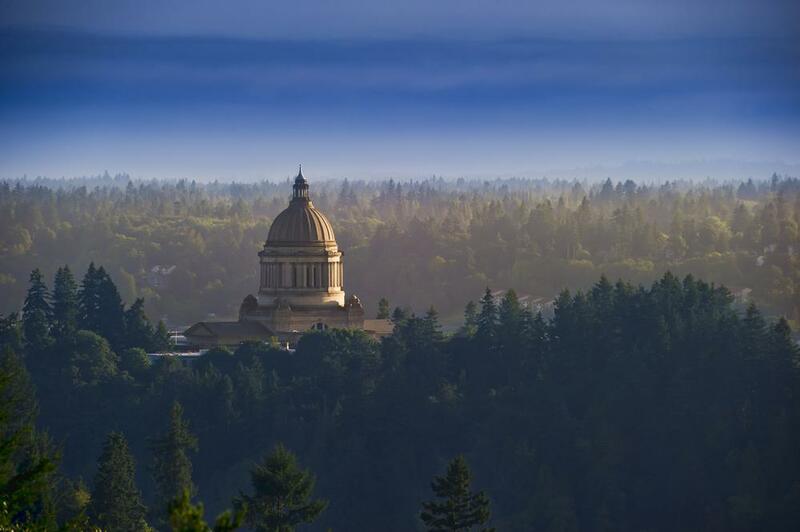 An Olympia WA personal injury lawyer can help. We will investigate your situation and determine who is responsible for your damages. Then, we will submit a claim with their insurance company. We will file a lawsuit against the responsible party, if necessary. A bus accident may result in injuries to many people at once. Many different entities may be responsible for a bus accident, including the bus company, driver, maintenance company, manufacturer, or other drivers. When filing a claim or lawsuit, it’s important to name all of the responsible parties and request compensation from them for your damages. Washington is a beautiful state to bicycle through; however, cyclists must be careful when on roads with other vehicles. When a motor vehicle driver hits a bicycle, the results can be devastating. Bicycles must follow many of the same laws as vehicles, and motor vehicles must give cyclists right of way in many situations. However, accidents often occur when other drivers fail to respect the rights of cyclists. An Olympia WA personal injury lawyer can evaluate your situation and help you obtain compensation. When an accident occurs, all drivers are required to stop and check on the well-being of others and exchange information. You must give others your personal information as well as insurance information. In many situations, the police or emergency medical treatment must be called as well. In other situations, you may be able to submit an accident report at a later date. However, if a driver fails to do any of this, they may be liable for a hit and run. This is a criminal charge, but may also be evidence towards civil liability. Walking along roadways can be dangerous, especially when there are no sidewalks or walkways. Motor vehicle drivers often fail to see pedestrians or do not give them the right of way they legally deserve. Unsafe road accidents may be the fault of drivers or the people responsible for maintaining roadways. Sometimes even weather is to blame for unsafe road conditions. An Olympia WA personal injury lawyer can help you determine the cause of your accident as well as who is legally liable. Construction sites present many dangerous, including uneven pavement, orange barrels, and workers in the roadway. It can be difficult to drive through these areas. When an accident occurs, it can be difficult to determine who was at fault. An Olympia WA personal injury lawyer can assess your circumstances and assist you to obtain the compensation you deserve. Property owners and managers are responsible for maintaining a safe premise for visitors, invitees, and others. If you were injured on someone else’s property, you should contact an Olympia WA personal injury lawyer right away. It can be difficult to handle a complex personal injury case on your own. Most cases require an in-depth investigation, negotiations with an insurance company, and legal knowledge. Our Olympia WA personal injury lawyer can help you through this process. Call Fielding Law Group today for help with your case.